If your current job has you driven to the brink of career change and you’re looking at tech as a way out, the good news is that the path to tech skills is a relatively short one. In other words, start thinking about a career change to tech as a matter of months—not years. 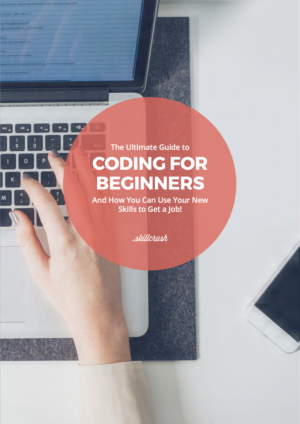 When it comes to picking up those tech skills in a timely fashion there are a number of ways to go about it, including free online resources, paid online classes and coding schools, and in-person coding bootcamps. While online options like a coding school tend to offer the most flexibility as far as time and scheduling, if you think you’re the kind of person whose learning style meshes best with an on-campus bootcamp, don’t worry—you still won’t have to deal with the kind of time-sink associated with a traditional college. You will, however, have to deal with the fact that in-person bootcamps are among the pricier alternatives for learning to code. And because coding schools aren’t accredited universities with Pell grants and state scholarships on hand, it might seem like you’ll have to pay your whole way out of pocket. But this isn’t always the case. Plenty of bootcamps offer scholarship opportunities for women and marginalized groups that have been traditionally underrepresented in the tech industry, and there are alternative coding school models that allow you to bypass the need for bank-breaking tuition payments all together. 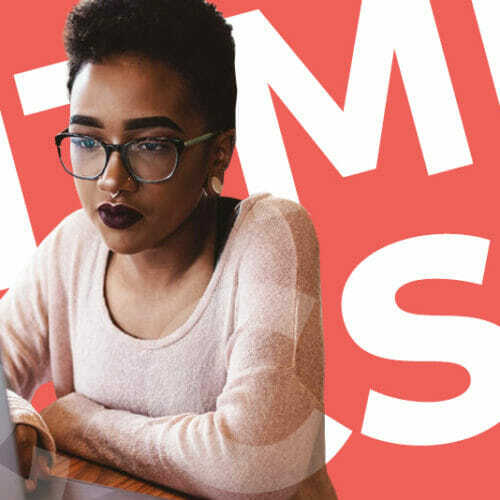 In order to give you an idea of what’s out there, we rounded up a list of nine coding schools that offer ways to keep more of your money in your bank account while still picking up the bankable skills you need. Codeup is a full-time, in-person, coding bootcamp school located in San Antonio, TX. The program focuses on preparing students for work as junior developers and advertises an employer partnership network of over 100 businesses that help create job opportunities for graduates. Codeup offers a number of scholarships, including Codeup’s Women in Tech scholarship (which awards three scholarships per enrollment period based on merit, admission scores, and application answers, with one recipient receiving $5,000 toward Codeup’s $22,500 tuition and two recipients receiving $2,500 each), a veteran’s scholarship (which awards $1,000 toward tuition to any student who can provide proof of military service), a first responder’s scholarship (which pays $1,000 for tuition for any student who provides their first responder’s certification), and a relocation scholarship (awarding $1,000 toward tuition for any students relocating to San Antonio and willing to remain in the city for one year after graduation). New York City’s Recurse Center bills itself as “a self-directed, educational retreat for programmers.” Comparing itself to a writer’s retreat or a work sabbatical, the Recurse Center offers six, 12, and one week long “batches” where applicants immerse themselves in coding projects of their own choosing with the support of their fellow batchmates and Recurse alumni. Recurse Center is open to programmers with all levels of experience (the Recurse Center describes their applicants as having a range from six months to 30 years of experience), but some previous programming knowledge is required. The Recurse Center is free to attend (their business model involves getting paid by partner companies in exchange for access to hiring Recurse Center alumni), though the costs of housing for six to 12 weeks in New York City still apply. In order to help with these costs, Recurse Center offers need-based living expense grants for women, trans, genderqueer, and non-binary people, and other groups that are underrepresented in the tech industry—including Black, Latinx, Native American, or Pacific Islander. 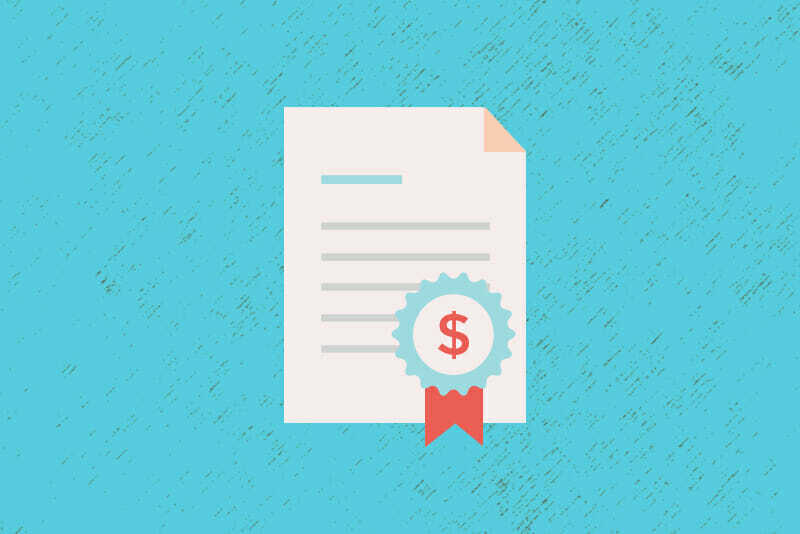 Those who qualify for grants are able to submit the amount of money they need in order to attend the Center and a brief explanation of why they need a grant. Grant requests are confirmed no later than two weeks before a batch begins (though due to budget constraints may not be able to cover an applicants entire request), and funds are allocated during the first two weeks of a batch. The Grace Hopper Program is a bit different than other scholarships or grants—it isn’t a fund that can be applied to a school or classes, it’s an actual affiliate of Fullstack Academy (an immersive coding bootcamp with locations in New York City and Chicago). Through the Grace Hopper Program, female identifying applicants (including transgender, genderqueer, and non-binary individuals) can attend a 17-week software engineering course at Fullstack’s New York or Chicago locations, or online, with no upfront tuition. Flatiron School is a coding bootcamp with in-person software engineering and data science programs, and an online web developer program. Flatiron has campuses in New York City, Washington D.C., London, and Houston, TX. Outcomes reporting is a big part of Flatiron’s marketing—in the more than five years since they started implementing independently verified outcomes, Flatiron has published outcomes for every student the school has served. And—as part of their focus on positive outcomes—Flatiron has made a commitment to promoting gender parity in tech. While Flatiron cites industry-wide statistics such as women holding only 25 percent of tech jobs, female participation in tech declining since its plateau in 1996, and the quitting rate in tech being twice as high for women, the school claims that its own cohorts range from being 35-60 percent female, it has identical graduation rate between men and women, and that—based on their verified outcomes data—female graduates earn as much if not more than their male counterparts. Part of the way Flatiron has helped facilitate gender parity in their program is through their Women Take Tech coding scholarships. As of this writing, The Women Take Tech initiative is offering 25 women 50 percent off of the $18,000 tuition to Flatiron’s online web developer program, an automatic $1000 off of the $15,000 tuition to all women attending their software engineering or date science courses in New York, and an automatic $5,000 off of the $15,000 tuition to all women attending their software engineering course in Washington D.C.
Ada Developers Academy is a web developer training program for women and gender diverse people that makes scholarships or grants a moot point. Ada Developers Academy’s six month, on-campus program (followed by five months in a paid tech industry internship) is 100 percent tuition free. Located in Seattle, WA, Ada Developers Academy is able to waive tuition due to their funding from company partners. Hackbright Academy is a San Francisco-based software engineering coding school for women, claiming over 700 graduates who’ve landed roles at tech companies like Google, Dropbox, and Airbnb. Hackbright offers a four week evening and weekend prep course for beginners who want a look at coding before committing to a full program, a twelve week, full-time, Monday through Friday program that teaches the fundamentals of computer science alongside modern web development, and a new 24 week, part-time program on Tuesday and Thursday evenings and Saturdays. Like most bootcamp programs, Hackbright Academy has a daunting tuition at $16,895 for its full and part time programs, but—in syncing with its mission to help get women into the tech industry—opportunities for scholarships are baked into its infrastructure. As of this writing, Hackbright is offering two Phenomenal Woman Scholarships consisting of $8,000 each (based on results of a technical work sample and interview), a Quip Diversity Scholarship awarding $5,000 each to five winners and $1,000 to five runners-up (winners will be chosen based on their membership of a group historically underrepresented in STEM, a demonstrated interest in computer science, and current full-time enrollment or acceptance at Hackbright), and three New Relic Scholarships offering full tuition plus $5,000 in living expenses for women in the Portland, OR metro area who are looking to attend Hackbright in San Francisco (applicants must belong to a historically underrepresented STEM group). Unlike the other bootcamps on this list, Bloc is an online-only tech bootcamp offering web developer and web designer learning tracks. Bloc’s programs can be completed in eight months or less and the company advertises a 97 percent job acceptance rate for graduates of their courses. While Bloc’s online model makes it relatively less expensive than some of the coding schools on this list (their tuition for eight months of either track is $8,500), Bloc still has a scholarship opportunity available to reduce costs even further. Bloc’s Close the Gap Scholarship awards 25 percent off of the tuition for their web developer or web designer track. In order to apply for the scholarship, applicants need to schedule a call with a student advisor and fill out an application form. Any self-identifying women who aren’t currently enrolled in a Bloc program are eligible for this scholarship. While some tech skill seekers might be more comfortable bypassing the high costs of bootcamps entirely, those who feel like a bootcamp’s format is what will help them learn best can rest assured that they won’t have to go it alone—and neither will their pocket book. The opportunities to make tuition more manageable are out there, meaning you have one less roadblock on the way to reaching your tech goals. While some people thrive in an in-person, immersive setting, others will find a flexible, self-paced approach to coding more in line with their learning style. 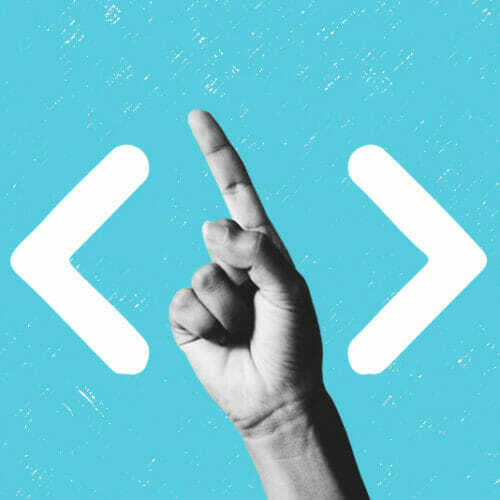 If you’re looking to juggle your tech learning alongside the demands of a busy schedule, and you don’t have the ability to drop everything and move somewhere new for an in-person program, Skillcrush offers a practical, affordable coding school solution. Skillcrush classes take place online and are designed to take less than an hour a day, and—if you enroll in Skillcrush’s Break Into Tech Blueprint program—all classes (including videos, readings, interactive exercises, projects, etc.) are online and available to you, on demand, 24/7. Students who enroll with Skillcrush also receive access to an online student community where they can meet and chat with their instructors and fellow students, as well as the chance to schedule video office hours with instructors two to three times a week. Most students are able to complete Skillcrush’s web developer or web designer instructional tracks in nine months (spending about six to eight hours a week), or 12 months if they add a WordPress specialization. For a one time payment of $1,499 (or 12 monthly payments of $149), students have lifetime access to all Break Into Tech content, meaning you can finish the program as quickly or slowly as you like, from the comfort of your own home and at a fraction of the cost of most in-person alternatives. Nonprofit organization GirlDevelopIt offers an in-person, low-cost alternative to the usual bootcamp option—with a twist. Unlike the fee-based bootcamps listed in this article—or even the free or deferred tuition examples—GirlDevelopIt classes aren’t confined to one or a handful of campus locations. Instead, GirlDevelopIt is a chapter-based organization, where local chapters are led by Chapter Leaders with programming backgrounds and connections to their local tech community. Each chapter hosts free meetup events and paid classes with the mission of teaching coding skills to adult women in a non-judgmental environment. Class costs depend on subject and chapter location, but—as of this writing—listed examples range from around $30 to $100 per class. In addition to these relatively low class costs, GirlDevelopIt’s chapter-based model cuts down on moving or living expenses associated with other alternatives. 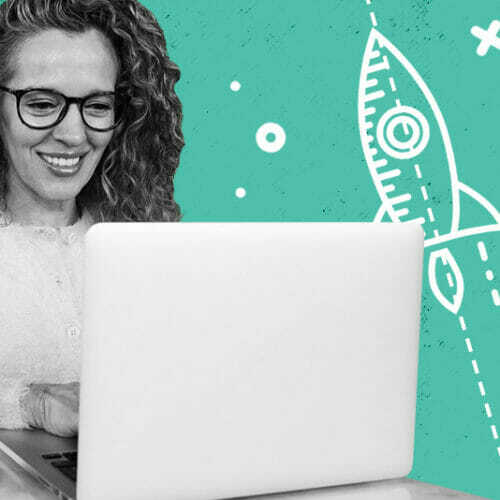 GirlDevelopIt currently has chapters in 58 U.S. cities, giving prospective students a number of options for taking classes near their current home. And if there isn’t a chapter near you? Drop a line to the organization and get the ball rolling on starting one in your own town.